In addition to the specs, we have also seen the first official images of the Redmi 4 and in them you can clearly see that the metal elements dominate this device. In fact, the body is all made with aluminum, except at the front where the protective Gorilla Glass and 2.5D curvature occupy the screen. As mentioned, this smartphone will go on sale in two versions, a Standard and a Pro Edition, which will be accompanied by a third more affordable variant called Redmi 4A. As you can guess from the names, the technical specifications adopted in the first variant are simpler and justify a lower price with a 5-inch IPS display with HD resolution and Qualcomm Snapdragon 430 processor with 2 GB of RAM. The most expensive version (Pro Edition), improved some specifications, as FullHD IPS screen, a Qualcomm Snapdragon 625 processor and 3 GB of RAM. Both versions are equipped with a 13 megapixel rear camera with laser PDAF ensuring a quality approach and dual LED flash. The front camera in both cases is 5 megapixels. On the back of both smartphones, in addition to the sensor to take pictures, we found the fingerprint sensor. To this list of features we add support for hybrid dual SIM (micro + nano / microSD), LTE, Wi-Fi 802.11b/g/n, Bluetooth 4.1/4.2, GPS + GLONASS and infrared, and a battery of 4100 mAh. The Xiaomi Redmi 4 will be available in China from November 11 in Silver, Grey and Gold colors at a price of ¥ 699 (about $ 95) for the base variant, and for ¥ 899 (about $ 125) for the variant with FullHD screen. 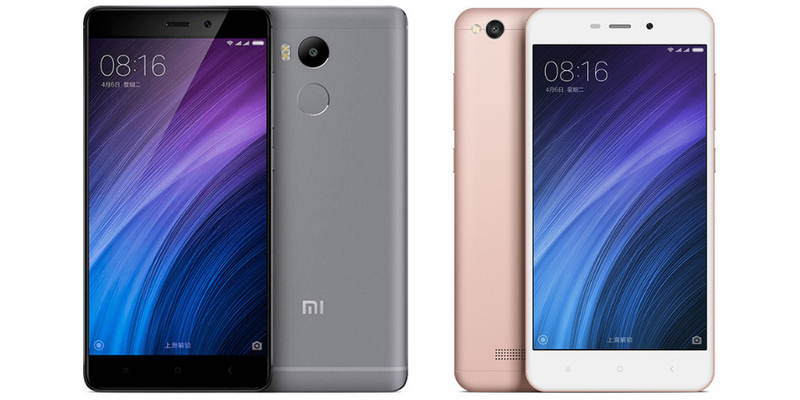 The Xiaomi Redmi 4A, meanwhile, will be available on the same date in a Gold version and another Gold Rose at a price of 499 ¥ (about $ 70), making it one of the cheapest Xiaomi devices in its history, and not should exceed $ 100 in our market (although we will have to wait for the sale of third party retailers to be sure).